(CNS): Police have now charged three Jamaican nationals who were all arrested last week (22 January ) following the interception of a drug canoe in East End. An RCIPS spokesperson confirmed that the men aged 57, 44 and 43-years-old men have beencharged with importation of ganja and possession of ganja with intent to supply. The men have already appeared in court charged with immigration offences and currently remain on remand as they await their next court appearance on Tuesday in connection with the drug offences. Police said they recovered 300lbs of ganja during the operation as well as ammunition. Officers from the Marine Unit intercepted the boat at about 9:40pm on 22 January. Officers on patrol aboard Niven D in the waters off the coast of East End spotted a canoe inside the reef and immediately initiated a land, air and sea operation involving officers from the Eastern Districts, the Uniform Support Group and the RCIPS Air Operations Unit. As the drugs boat landed, officers chased and arrested the three Jamaican nationals who had been on board the canoe. The primary difference between the two political parties in Cayman is that one is clearly better at managing the economy than the other. Here is the evidence: Everyone knows that our country has been in a recession for the past several years; however, theheadlines of the February 1 Caymanian Compass clearly confirms that our economy is finally on the right track towards recovery. Air arrivals were up by 4.1 per cent in 2012 – the highest in 11 years. Cruise arrivals were also up, with an increase of 7.6 per cent over 2011. We are actually now spending 35 per cent less on the Department of Tourism and the results have been the best they’ve been in 12 years. And the economic picture even gets better. Property sales are up, three new hotels are being considered for development; expenses for the public service are lower than expected and revenues are higher than expected; and major developments like the East End hospital project and Cayman Enterprise City are well under way. Even the Compass’s Editorial of February 1st had to commend that “positive things are starting to happen; our country is on the right track toward recovery and economic success”. But who really deserves the credit for this turn around? Politicians often get the blame when things go wrong; however, if we are truly being fair they should also get the credit when things go right. While there are those who will never admit it – Hon McKeeva Bush is the person who deserves the credit for engineering this economic turnaround. Minster Cline Glidden cannot claim the credit for this success because although he was a member of UDP he was actually a back bencher during this period and not a minster. Despite all of the usual political rhetoric and mudslinging that will come during this election season, let’s give credit where credit is due. Running a country in the current global economic environment is no easy task. Anyone can hold the helm when the sea is calm; but the ultimate measure of a man is not where he stands in moments of comfort, but where he stands at times of challenge and controversy. We all know that the primary reason our country was in a financial mess was because the PPM government engaged in a wanton spending spree between 2005 and 2009. But now that the UDP has turned the country’s finances in the right direction, even hardline PPM supporters and the usual Hon “McKeeva Haters” will have to reluctantly admit that the UDP is better at managing the economy than the PPM. (CNS): Local offshore legal firm Maples and Calder as made a $120,000 commitment to the Cayman Islands Football Association Grassroots Programme over the next four years. The programme aims to bring football to the very early stage of children's development with an all-inclusive structure where the priority is to develop the love for the game and provide all participants enjoyment and fun in the appropriated atmosphere. Maples formally announced their involvement at a press conference recently with representatives for the local football association including local football boss Jeff Webb the current CONCACAF President. "The promotion of grassroots football has always been one of FIFA‘s priorities and the internaiotnal body’s president Joseph Blatter has said its main objective for its grassroots football programme is to bring football to as many people as possible and develop the game. The local programme aims to develop young players to start competing on CIFA Youth Competitions at the right age so develop skills, discipline, basics and fundamentals of the game are the most important aspects with the “winning at any cost engagement” completely out of plans. There is a tiny line between “pursuing wins going beyond the fairness of the game, pressing young players to achieve victories no matter they do on the pitch” and “developing a winning attitude,” local football experts said. Maples and Calder said it strongly believes in the ability of sports to develop focus, commitment and discipline in our youth. Under the initiative players will get instructions regarding the laws Of The game earlier so when they get to the competition age level their coaches will not spend too much time teaching the rules and can concentrate more in tactical matters and technical details. Players will be evaluated since young age. Their records, stats and football life data will be kept for future reference and strategies for improvements will be drawn based on their performance. 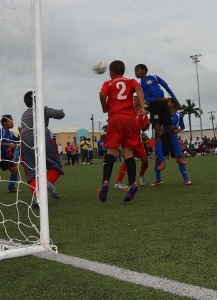 As a long term program, in the next 10 – 15 years Cayman Islands will have players with better discipline, techniques, game understanding and closer to the international level. There will be three different age levels and players only can participate in other different age level then their own if there is not enough number of participants. Players cannot change or attend different groups otherwise authorized by the respective age level’s coach. U6 – players born in 2007 and after. U8 – players born in 2006 and 2005. U12 – players born in 2004, 2003, 2002 and 2001. Coaches will be instructed and trained to deal with young players and must have at least one coaching course approved by CIFA on their profile. The coaches must attend all instruction sessions to be able to start working. At the instruction sessions, coaches will be informed about the program, procedures, coaching aspects and technical matters and receive FIFA teaching material. Players will be grouped by their age and skills. Coaches will not pick players by their own, they will be drawn in a way that teams will be well balanced to provide enjoyment and fun games for all players. No medals or trophies will be given at awards ceremonies, players will receive diploma of participation with grades based on their attendance. There will be many different venues for training, weekend practice games and tournaments. Saturday’s events will be scheduled at different venues every week. All Cayman Islands districts, including Cayman Brac, will be covered. (CBAC): Get set for the 2nd Annual Camana Bay Aquatic Club (CBAC) Open Water Swim Series. Swimmers of all ages and abilities are invited to join the local competitive swim club for a three-part series of family-friendly open water events, starting Saturday 9 February. Taking placeat Governor’s Beach over the course of six weeks, the series is open to the community and is a great way to learn a vital life skill, enjoy a great workout, get wet and have fun. “It’s open to everyone,” says CBAC Head Coach, Katie Lambert. “Swimming is an essential skill that every person living in the Cayman Islands should have. “Our Open Water Series is all about encouraging new swimmers to come out and experience a new sport, build open water confidence and basic swim skills, in a social safe environment,” she added. All Open Water Series events are beginner-friendly and non-competitive. On Saturday 9 February, little ones will enjoy a 200 metre Lollipop Dash, designed for swimmers 10 and under who are new to open water swimming, while more experienced swimmers can take part in a 400 metre Sea Swim. Not ready to swim but still want to join in the fun? Water Walk participants will walk the full race distance in water at waist height. Each week, the Sea Swim and Water Walk will increase in distance as participants build open water confidence. On Saturday 2 March, the second event in the series will start with a 200 metre Lollipop Dash, followed by a 600 metre Sea Swim and a 600 metre Water Walk. The series concludes on Saturday 23 March with a 200 metre Lollipop Dash, and a rewarding 800 metre Sea Swim and 800 metre Water Walk. While the series allows new swimmers to improve their skills, it also gives more confident swimmers an opportunity to test the waters of competitive swimming. “We want swimmers to come out and try a race, and see what the sport has to offer,” says Lambert. 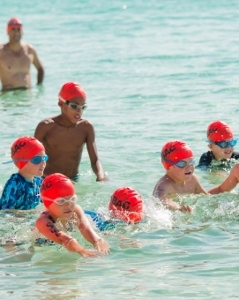 For Cayman’s active competitive swimming community, the CBAC Open Water Swim Series is the perfect way to kick-start training for CIASA’s 800 metre Open Water Race this summer. All races will start at Governor’s Beach, and competitors will swim north to finish on or before Public Beach. There will also be random prize draws and complimentary post-race refreshments at each event. The Camana Bay Aquatic Club marked its second-year anniversary in December. 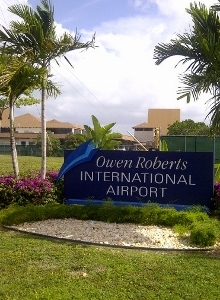 In two short years, the Club has grown to almost 150 members and enjoyed a number of swimming achievements, including travelling abroad to prestigious international meets, hosting a National Collegiate Athletic Association (NCAA) swim team and joining some of Cayman’s best swimmers at the CARIFTA 2012 Swimming Championships in Nassau, Bahamas in April last year. Earlier this year, the Club launched the Camana Bay Aquatic Club Swim School which offers beginner to advanced swim classes for children and adults, as well as water safety classes for adults working with children around water. “Lessons are centred on developing strong foundation skills today, to create successful swimmers tomorrow,” explains Lambert. The Camana Bay Aquatic Club Open Water Swim Series takes place Saturday 8 February (400m), Saturday 2 March (600m) and Saturday 23 March (800m). For more information on the series and upcoming CBAC events, visit www.camanabayaquaticclub.com or email cbac@camanabay.com. To stay up to date with the latest Club happenings, like Camana Bay Aquatic Club on Facebook. Registration is CI$30 for a Series Package (all three races); CI$90 for a Family Series Package (2 adults and 2 children, including all races); and CI$15 per individual race. All swimmers will receive a CBAC Swim Cap, and those who sign up for the Series or Family Package will each receive a CBAC Open Water Series T-Shirt. Registration can be made on the day at the event, online at www.caymanactive.com or at The Discovery Centre in Camana Bay. (CNS): Local free diving star Tanya Streeter has joined the campaign to end the farming of endangered sea turtles in Cayman and was with representatives from the World Society for the Protection of Animals when they handed in apetition with 144,000 signatures to the Cayman government this week. The free dive world champion and world record holder has also spoken out against the Cayman Turtle Farm, which is currently housing around 7,000 endangered sea turtles in cramped, unhealthy and diseased conditions. The WSPA was visiting Cayman to pick up a report commissioned by the CTF following the charity's own findings about the problems at the attraction and to talk with management and government about changing the facility from a farm to a real conservation facility. Although that goal continues to find little support among officials in Cayman, the campaigners have at least made the CTF management address some of the major animal welfare issues at the facility. As well as finally admitting that disease and health problems exist among the captive population, the CTF has begun the process of recruiting a vet. The WSPA is not only pressing for better welfare conditions but to transition the facility into a fully-fledged conservation centre. However, as the ultimate goal of the Cayman Turtle Farm is to produce meat as a means of discouraging people from poaching turtles from the wild, the charity is up against significant opposition. During a year-long undercover investigation the WSPA brought to light the extent of the problems at the CTF, from turtles with damaged flippers and missing eyes to cannibalism in the the overcrowded, dirty tanks in which the turtles are held captive. As a result the turtles are distressed, diseased and damaged. Streeter, a Women’s Diving Hall of Fame free-diver, who handed the petition to the CTF and government on Tuesday 29 January, said turtles should not be kept in the overcrowded, dirty, concrete tanks at the Cayman Turtle Farm. “I grew up on the island and it was my home for a long time,” she said “Free-diving in the waters off the Cayman Islands is a beautiful experience. It is also one of the few places you can get up close and personal with the magnificent endangered green sea turtle. I’m supporting the World Society for Protection of Animals as turtles are solitary animals, and are most at home when they are swimming free in the ocean,” Streeter added. (CNS): Although several candidates have already declared their intentions to run in the May General Election from across the political arena, the Elections Office confirmed this week that Nomination Day, the official start of the election campaign, will take place on Wednesday 27 March in all six electoral districts. Candidates must submit their nominations between 8am and 3pm, after which nominations will be closed. Returning Officers from the various districts, with exception of Cayman Brac and Little Cayman, will return to the Elections Office to present all nomination forms to the Supervisor of Elections. All nomination stations are open to the public and the fulllist of candidates will be available that evening. This will trigger the start of the official eight week campaign, ending 22 May when Cayman decides its next government. Many candidates have already declared their hands in what is expected to be a record-breaking election when it comes to the number of people expected to run as well as the number of people entitled to vote. Over 18,550 people are now on the electoral roll across the six districts, where they will vote for 18 people to send to the Legislative Assembly. Six of them will come from the capital of George Town, where more than 7,450 people are now registered to vote. With four seats also up for grabs in Bodden Town as well as West Bay, these districts are expected to see significant numbers of candidates seeking election. Both the UDP and the PPM have signalled their intention to run a full slate of candidates in the district of West Bay, where the former premier, McKeeva Bush, and Capt Eugene will be running against their former colleagues in government, Cline Glidden and Rolston Anglin, as well as at least two Progressive candidates, as the opposition party runs its first candidates formally under the party banner. A myriad of independent candidates have also been tipped to run in the district and at least two candidates will be representing the Coalition for Cayman. In Bodden Town minority government candidates Mark Scotland and Dwayne Seymour will be battling four candidates from the PPM as well as a promised full line up from their former political party, the UDP. So far, no independent candidates have declared for that district but C4C candidates as well as a number of independent candidates running on the ‘dump’ issue are also expected to declare their hand in the district. The PPM has already revealed its four candidates for Bodden Town and is confident of a good result in that district battle. Meanwhile, it is in the capital of George Town where the Elections Office will be spending the bulk of its paper and printing budget on ballot papers, which could be extremely lengthy. With the UDP and PPM running six people each, as well as the three coalition candidates who have already declared, the capital could see a record number of would-be politicians entering the political fray. So far however, the interim government group has given no indications of its intention to fight any of the seats, making the group members’ chances of returning to the front benches of parliament unlikely. Ezzard Miller is expected to run unopposed in North Side in the single member constituency, while in the neighbouring district of East End his independent colleague Arden McLean will likely be in a head to head battle with John McLean Jr, who is supported by the UDP but who may still run on an independent ticket. In Cayman Brac and Little Cayman, although Moses Kirkconnell and Juliana O’Connor-Connolly are expected to be returned, it is likely that several other candidates will also be on the ballot sheet fighting for one of the two seats. (CNS): With the promotion of healthy living central to the government’s health policy, the deputy governor has issued a challenge to civil servants to take part in the half marathon in December this year. 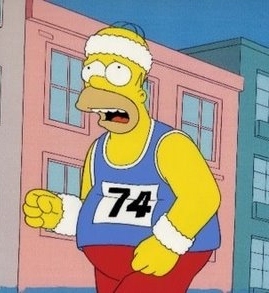 Franz Manderson is expecting at least fifty public servants to join him on the thirteen mile run, which will require significant training for participants. In addition, civil service management are also considering a proposal to allow gym memberships to be funded by way of monthly salary deductions as public sector bosses examine ways of improving the health and well-being of government workers. In the face of tough economic times and cuts across the service, the deputy governor and civil service bosses discussed ways to boost staff morale at a recent chief officers' meeting, according to the newly released minutes. The formation of a Social Committee for the Civil Service was raised and the deputy governor said he believes that social activities would build a more cohesive civil service. Further discussion will be had, including consultation with the CICSA, but public funds will not be used by the Social Committee. Another idea to create social harmony among the public sector workforce was the idea of forming departmental choirs that could compete in sing-offs. Among the business discussed at the meeting was the transition of staff relating to the Cabinet reshuffle following the fall of the UDP administration. Manderson advised that, following recent changes within Cabinet, some subjects had been reassigned to new ministers. 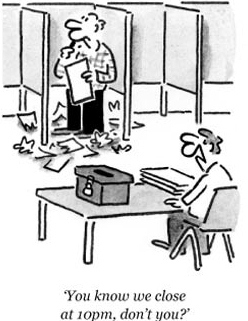 As a result of the changes in the Organisational Chart, some staff had to be re-accommodated in other offices. However, the adjustments were all very minor and no staff had been displaced as a result and he had received positive feedback on the moves. In the minutes, which offer only very limited detail of the discussions between public sector bosses, it was indicated that an update on the workings of the Budget Delivery Committee was provided but there was no indication of what that was. Meanwhile, the deputy governor continued to urge transparency, pointingd to the publication of the minutes of meetings by Dax Basdeo, the chief officer in the Finance Services Ministry and his senior staff. Manderson encouraged all chief officers to consider this practice, in an effort to promote transparency and good communication. (CNS): Although committed to a competitive tender for the George Town cruise berthing facilities, government believes it may still be possible for the cruise lines to do the project. Cline Glidden, the new tourism minister, said that after recent discussions with the cruise lines in Florida, government has since received a specific proposal from a cruise line. Admitting that this presented challenges for traditional procurement, he said government was looking at how the cruise lines could be involved in the project. He also revealed that his ministry had been unable to identify any intellectual property which CIG owns as a result of the $2.5 million payoff to GLF. Speaking at Thursday’s government press briefing, Glidden stated that one cruise line had already submitted a preliminary proposal to government and others were interested. Although still too premature to go into details, the minister said that ownership of the facility would remain in the Port Authority’s hands but the line involved was requesting priority use of the pier it would build, for a given period, which the minister said demonstrated a real commitment to the islands from this important cruise partners. However, the idea of the cruise lines being involved in a bid to do the port presented challenges when it came to traditional procurement. The minister said it was a good challenge to be faced with though, and the government had the assistance of not only the UK’s economic advisor but a procurement expert as well, who would be advising government as it moved forward with the cruise port bid. Glidden remained optimist that the government would be able to do something with the cruise lines and still follow good practice. The cruise lines would, he said, create options and it was a way in that wouldnot directly use public money. The cruise lines would always have a distinct advantage over third party investors in a competitive bid, since the developers would need to seek the commitment of the cruise lines while they already had their own passenger commitment, it would present difficulties for a traditional RFP and competitive tender. But Glidden pointed to the provisions in the tendering process for single source bids where value for money could be demonstrated. He said, however, that the cruise line interest created a new scenario that was more akin to the concept of a licensed development as they were merely offering to build a pier in order to dock their ships in our port. The minister said that whatever happened CIG was committed to following best practice and they now needed to talk with the UK and the advisors about how government could entertain this type of proposal as a way to get at least one pier underway. Despite the challenges it presented, Glidden said he welcomed them as it showed how committed and interested in Cayman the cruise lines remained. Deputy Premier Rolston Anglin added that traditional procurement might be tricky, given these types of proposals from the cruise lines, which presented a new scenario. But he said the Cabinet intended to put a case forward to the UK to consider this idea differently from traditional tendering as there were significant advantages to the public purse which may be attractive to the FCO. Meanwhile, it was revealed that, so far, the tourism ministry staff have been unable to find any of the intellectual property rights that the former premier had claimed Cayman got with the pay-off to GLF. Glidden said there appeared to be no ownership rights with CIG. The minister said it appeared no one had paid the government for any intellectual property and his chief officer, Stran Bodden, was still looking for what Cayman actually got in the pay off. Glidden said they had been hopeful that during the various negotiations the government would have acquired ownership of or have access to some useful information but so far, he said, they had not identified anything for the payment to GLF.